Curtin University, through the Centre for Human Rights Education (CHRE) is proud to present the 2017 Annual Human Rights Lecture, delivered by prominent Australian writer, academic and broadcaster, Waleed Aly. The Curtin Annual Human Rights Lecture, established in 2016, is a key initiative of the CHRE. The inaugural lecture was delivered by Professor Gillian Triggs, President of the Australian Human Rights Commission. On radio and television, Waleed has interviewed everyone from Julia Gillard to The Bangles. He has tackled comedy as both a writer and presenter for SBS’s Salam Cafe along with hard-hitting news as a host of ABC radio’s Mornings program in Melbourne. He has presented sporting analysis on ABC News 24’s The Drum, and political analysis on Q&A and BBC World. 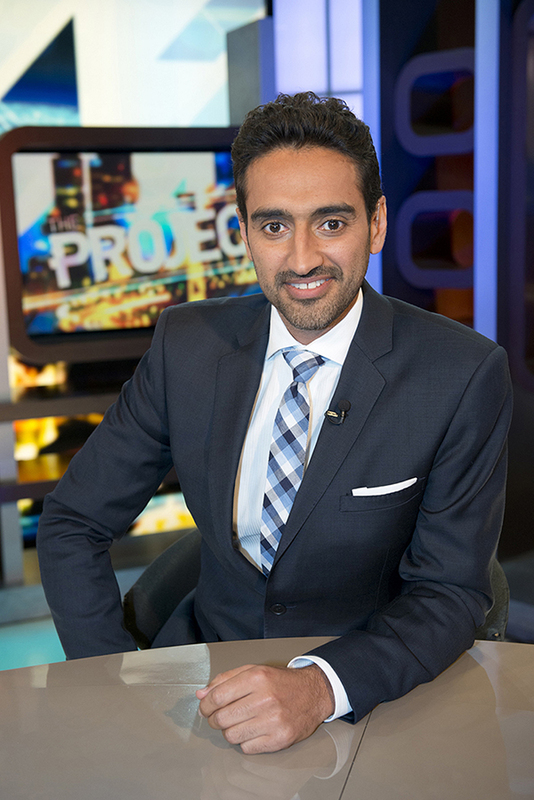 Through this as well as regular appearances on Meet The Press, The 7.30 Report, Enough Rope with Andrew Denton and Offsiders, Waleed has become widely recognised and trusted by audiences across Australia. His social and political commentary has produced an award-winning book and multiple literary short-listings. Waleed’s writing regularly appears in newspapers and magazines such as The Guardian, The Monthly, The Australian, The Sunday Times of India, The Australian Financial Review, The Sydney Morning Herald and The Age. He is the author of What’s Right? The Future of Conservatism in Australia (Quarterly Essay 37). His debut book, People Like Us: How arrogance is dividing Islam and the West (Picador, 2007), was shortlisted for several awards including the Queensland Premier’s Literary Awards and for Best Newcomer at the 2008 Australian Book Industry Awards. In 2014 he was awarded the prestigious Walkley Award for Commentary, Analysis, Opinion and Critique. When he’s not broadcasting or writing, Waleed is probably doing something musical. He is the guitarist and main songwriter for Melbourne originals band Robot Child, and co-wrote the theme music for Salam Cafe. He played the lead guitar in the world’s first ever theatrical production of Pink Floyd’s classic album, The Wall with Nuworks Theatre in Melbourne, in the process helping to raise $60,000 to rebuild a girls’ school in Afghanistan that the Taliban had previously destroyed. He also played guitar on Storm, a song he co-wrote live on air with Sony-signed Australian artist, Shelley Harland. He is probably the only Australian academic to have trended on Twitter twice and is almost certainly the only Australian terrorism expert to have written a formal harmonic and structural analysis of Bohemian Rhapsody. In 2010 he hosted “The Late Session” for SBS, a lively talk show set in a dinner party environment canvassing a wide range of contemporary topics. He made his Melbourne International Comedy Festival debut in 2013 alongside Charlie Pickering in ‘The World’s Problems Solved with Charlie Pickering and Waleed Aly’. Every Sunday night of the festival they took on one of the world’s greatest political, social or humanitarian troubles and solved it - the Charlie and Waleed way. Waleed is married with two young children. Please park in car park A3 or B12 and B13, entering via Kent Street. Please see the Curtin campus map for directions. The Banner image is the SIEV X memorial in Canberra that remembers the 353 men, women and children who drowned on 20 October 2001 when their boat sank en route to Australia. All were seeking asylum.